Broccoli is a vegetable that is very magical. Broccoli is a source of antioxidants that are high in protein. Half the fiber content of bread wheat, but only a tenth of calorie content. Broccoli contain many vitamins and minerals, including beta-carotene, vitamin A, vitamin C, iron, zinc, sera of vitamin B and folic acid. These vegetables can strengthen the immune system and become the main force to fight colon cancer. The content of his sulphuraphane able to detoxify and effectively remove all the causes of cancer we eat and breathe every moment. Broccoli protects the immune system as a whole. In addition to fighting cancer, broccoli is also good to fight heart disease and infection, particularly those related to respiratory tract. Broccoli is a vegetable that has the ability to clean in depth. These vegetables can cleanse and purify the entire digestive system and stimulates the liver, which is the main organ for detoxification. When the liver is working with full capacity, the whole body will function better. Broccoli prevent harmful poisons stack in the system of the body. When the burden of toxins in the body is reduced, the skin will be significantly better. No wonder the broccoli into food perfect beauty. The content of vitamin B2 was good for the skin, hair, and nails. 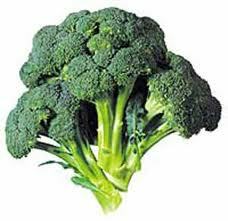 Vitamin B2 and B5 can join the broccoli to convert fat into energy metabolism so that gives you strength. Appropriate way of cooking is very important to maintain levels of nutrients. Boiling is the best way. Broccoli is also beneficial for pregnant women because it contains folic acid (another B vitamin), which can protect the baby from spina bifida (a condition the lower body paralysis) and strengthens the nervous system and blood cells of mother and baby. Folic acid can be reduced because of oral contraceptive pill, so the number of red blood cells also decreased. Folic acid is also good to encourage the production of serotonin, a natural chemical in the body that can improve mood. Therefore, broccoli is also beneficial for people with depression. We are encouraged to eat 1-3 servings of broccoli a week. Detoxify the body systems related to the digestive and liver. Protect the baby from the risk of spina bifida. Hopefully this information is useful for us all.